High quality and made in the U.S.A., this solid turntable runs off a DC motor and can hold up to 200 pounds. 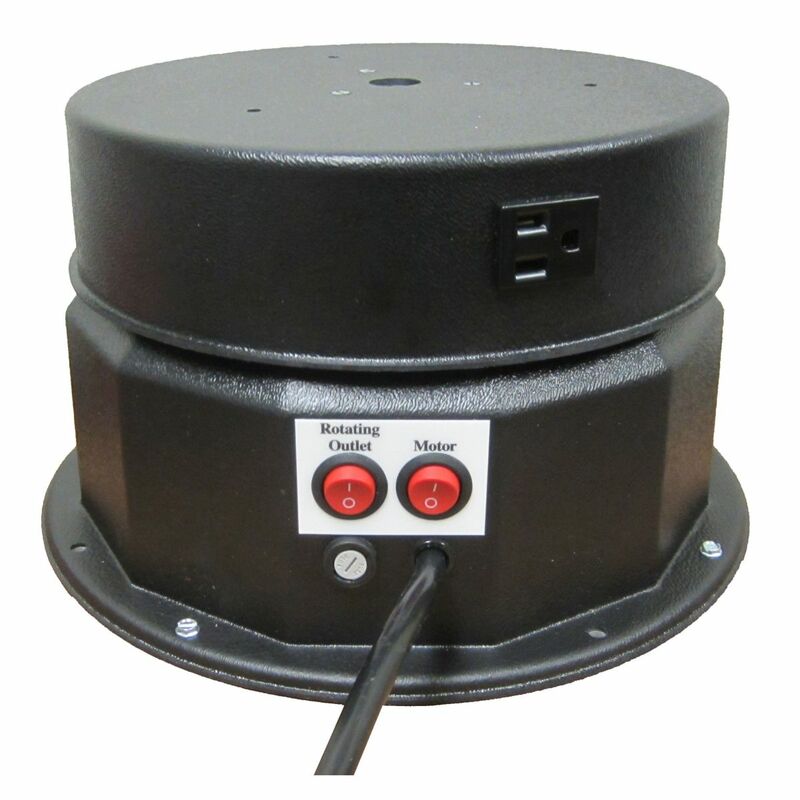 Turntable features a rotating 8 amp or 15 amp outlet. - 8", 12" & 17" sizes are available in 1/4" thick masonite, painted on top/edge. - 12" Steel is painted matte black. - 17" Steel is textured black powder coat. - 23" Steel is painted matte black with a turned edge. Color Options available see picture. If you'd like a color added to your turntable, please select option from picture. Please note the color you would like in the comments field at checkout.